This week seems to have flown by; Wednesday evening and I find myself woefully unprepared for this week’s edition of The Chain. I blame Teenage Fanclub for being so bloody good last night, and for taking up one of my evenings usually spent getting this ready. Also, my efforts to track down one of your suggestions led me to download the entire album as a single mp4, then edit it down to the one song I needed, then convert it to an mp3. I’ll not say which one, I’ll wait and see whether my new found tech skills are detected! In short, this may be a little briefer than usual. Sorry. So, last week, after being inundated with suggestions which linked to The Band’s “Up on Cripple Creek” which involved songs which mentioned creeks, various other bodies of water, and…erm…cripples, I rather thought that I might have it easy this week when the next track in The Official Chain turned out to be Neil Young’s “Cripple Creek Ferry”. Well, having allowed “Pearl’s Girl” it’d be pretty churlish of me to refuse to post that, wouldn’t it? That’s a pretty rollicking start to this week’s usual eclectic mix of the good, the bad, and the ugly, I’m sure you’ll agree. Time for a seamless link, I think. “’Cripple Creek Ferry’ is from the album ‘After The Gold Rush’. One of the most (in)famous gold rushes was the California gold rush which started in 1848 but exploded in 1849, and whose prospectors were thus dubbed ’49ers’, which naturally leads to the Italo-house outfit 49ers and their classic hit “Touch Me”. NB – there is very little that is “sexual” about that mix. …which in turn very nearly led me on to “My Weakness is None of Your Business” by Embrace, but you’ll be pleased to learn I showed some self-constraint. 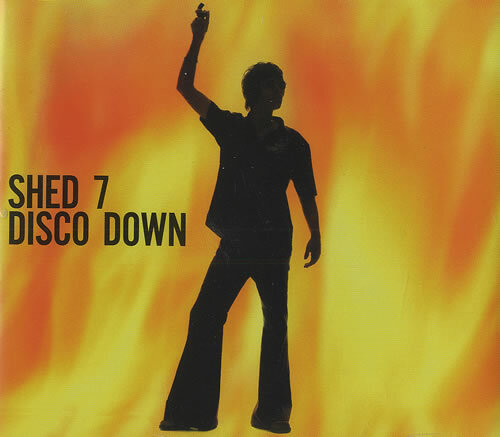 I have a bit of a soft spot for Shed Seven, as it goes. 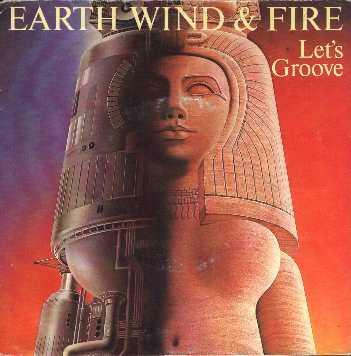 They always seemed to be trying quite hard to make records which exceeded their limited capabilities. That said, ‘Going for Gold’ is not one of their finer moments. It’s also not even close to being the worst suggestion of the week, I’m afraid. Now then. Awful records. I appear to have created a monster here. For this week you were all tripping over yourselves to suggest them. “I’m going to win the prize for Worst Record On The Chain this week” says George. Go on then. Do your worst. Think that’s the worst record of the week? Think again. Will you just take a look at some of those barnets? Yes, it was 1980, but that’s no excuse. Anyway, what are the odds of them having turned up here, as well as being the models in the display pictures that first caught the eye of Michael Bolton in the window of his local barber’s shop? Said album is one of the very few Number 1 selling albums which has never had an official CD release. I think we all know why that is. Please, God, someone suggest something decent. Rigid Digit, what have you got for us this week? “Neil Young – intrinsically linked with Crazy Horse (although they’re only on a couple of tracks on After The Goldrush). Oh Rigid: you already had me at The Osmonds. Crazy Horse though – some of you must have some suggestions in that area, surely? “Going for a double link here. Neil Young has made a number of records with Crazy Horse. Ian McNabb has also made a record with members of Crazy Horse. Ian McNabb has also recorded a song that mentions a river that has a famous ferry. That song is of course, “Merseybeast”. Sadly this was the title track of the album after the one he did with Crazy Horse, but perhaps that would have been too perfect a link. Theaudience – If You Can’t Do It When You’re Young When Can You Do It? “From one Neil to another Neil – Diamond to be precise. Now I have become aware over the weeks that there are people who are just not “cool” to like around these parts and as for Mr Bolton and his very unusual cropped-top/long at the back mullet haircut, I totally agree. Have still to work out where Neil D sits on the scale but personally I have always liked him, (most of) his songs, and his recent stuff. He did also have quite odd hair back in the day but hey, didn’t they all – oh and some very tight trousers. I’m assuming from the rest of your suggestion that you want the Neil version, rather than the Traffic jam, right? Excellent! By the way, does anyone else remember that as being released as Kevin Rowland & Dexys Midnight Runners, as opposed to just Dexys Midnight Runners…? Nope, me neither. It’s only after I posted that, that I remembered it’s the closing track on Superabundance, and comes complete with one of those pesky hidden tracks, which is also included in that link. Suffice it to say, this isn’t the one I edited. Insert your own joke about Americans making terrible decisions here, if you like. I’d never noticed the vaguely “Je T’Aime…”-esque French lady vocal at the end of that before. Possibly because I’ve never listened to the bloody thing all the way through before. “‘The Ferryman (Zeebrugge)’ by Billy Childish and the Singing Loins is my fairly straight-forward link”. So, your suggestions for songs (let’s face it, it’ll be plural, won’t it?) which you can link to “Live Forever” by Oasis, via the Comments section below, along with your usual brief descriptions as to what links the two, three, four, however many, records together, in plenty of time for next week’s post. Unless you’ve been living under a rock, it can’t have escaped your attention that the Olympics start officially later tonight (if you count the opening ceremony as it starting) or tomorrow (if you count it as starting when the competitions actually do). Of course, whichever opinion you subscribe to, you’re wrong, for the Olympic football tournament started two days ago, but since this is generally being ignored here in the UK as Team GB didn’t qualify (did we even try…? Couldn’t have been a more humiliating experience than Euro 2016 was, I guess), you can be forgiven for that. Anyway, pack me a lunchbox and call me Linford, I’ve only gone and done us a Friday Night Olympic playlist. Try to contain your joy. So here goes, 12 songs which are (very) (tenuously) linked to the Olympics. And no sign of that bloody Spandau Ballet record anywhere. …which is another way of saying…. Okay, maybe a little explanation. In 2012, on the night of the opening ceremony, I was at a works party. The party had nothing to do with the Olympics, and was held in the beer garden of a local pub, whilst TV screens in the bar showed the opening proceedings. I have to admit, in the run up to the games, I was firmly in the “We’re going to make a right pig’s ear of this” camp, and had little to no intention of watching any of the games. However, the appointment of Danny Boyle, he of Trainspotting, Shallow Grave and Slumdog Millionaire fame, to direct the opening ceremony piqued my interest, and every time I went to the bar – which was often – I found myself watching the television, bordering on the entranced. I got home later that night, found it on the BBC iPlayer, and watched it right through. The next morning, I woke up on the sofa, my television on stand-by, and watched it again/properly. I hadn’t been mistaken. It was bloody amazing. Soon after the Games finished, I bought a copy of the DVD box-set. The first disc contains the opening ceremony, the other two the highlights of the games. The first is possibly the most watched DVD that I own. The other two haven’t even been out of the box. Why is this relevant? Well, the other night I had a text from Hel, asking if I’d watched the BBC documentary about the making of the ceremony. I hadn’t, and sat down to watch it the following night. For the next couple of hours, I was transfixed, in exactly the same way as when I first watched the actual opening ceremony. The documentary, part of Alan Yentob’s “Imagine” series, contains behind the scenes footage, including the teaching of all the thousands of volunteers, some of whom had to learn to dance, others to drum; it has interviews not just with all the main creative players (Boyle himself, Underworld’s Rick Smith who was the musical director, etc. etc.) but also with several of the volunteers, some of whom have moving stories to tell about why they were there, and what happened to them on the night and as they trained for it. For example, in the “Saturday Night/Music” sequence, which tells the story of a boy and a girl meeting on a night out: I had assumed that both of them were trained actors/dancers. But no: both just normal kids, who’d volunteered to take part, and had been picked from the masses to play a major role in the event. But there was one scene which stuck in my mind, filmed in the tunnel where the volunteers involved in the aforementioned sequence were waiting to enter the stadium. Out there, the Sugababes’ “Push The Button” is playing; in the tunnel, they are going mental, all bouncing up and down with excitement, singing along and cheering…it’s wonderful to behold. If you have chance to watch it, I urge you to do so. You won’t be disappointed. So, that’s why the Sugababes are here. They’ve probably changed line-up about seven times since I started writing that, mind (obligatory Sugababes revolving line-up joke, there). 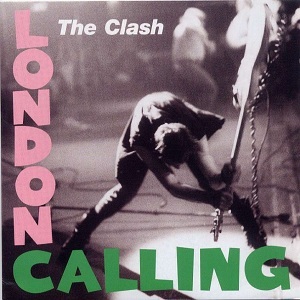 And so to round things off, a song from my favourite album by this band (a controversial choice, I believe), which I dedicate to every athlete from every nation taking part. May you hear yours many times over the next few weeks. 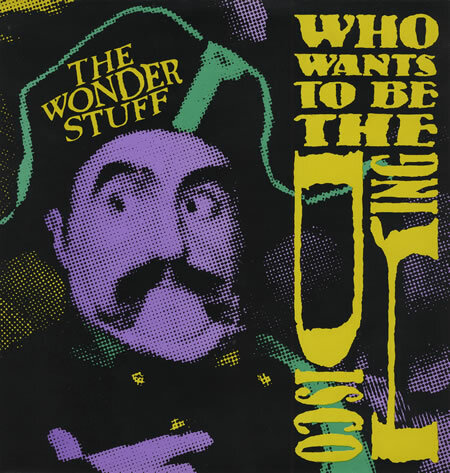 The Wonder Stuff – Who Wants to be the Disco King?